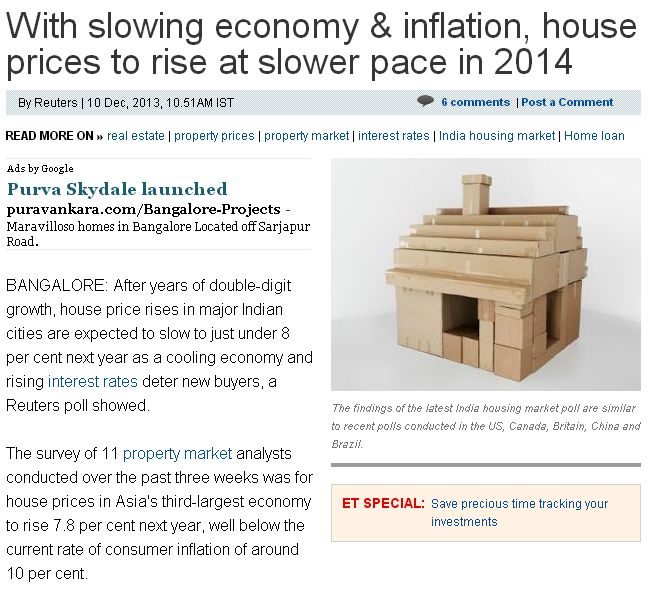 With slowing economy & inflation, house prices to rise at slower pace in 2014 | Saviour Builders Pvt. Ltd.
Posted on December 16, 2013, in Real Estate. Bookmark the permalink. Leave a comment.